I am told there are writers who can tap out a coherent essay in a single pass, at most checking for typos and touching up the punctuation before sending it off for publication. You are probably not one of them. Most writers polish draft after draft. I rework every sentence a few times before going on to the next, and revise the whole chapter two or three times before I show it to anyone. Then, with feedback in hand, I revise each chapter twice more before circling back and giving the entire book at least two complete passes of polishing. Only then does it go to the copy editor, who starts another couple of rounds of tweaking. That’s pretty rigorous, but not unusually so for a professional writer – though it varies tremendously at all levels. As a copy editor, I receive some texts polished enough to need only the ‘tweaking’ that Pinker mentions, but it’s more common to receive texts that warrant more involved work. This entry was posted on Wednesday, September 13th, 2017 at 3:49 pm and is filed under books, editing, writing. You can follow any responses to this entry through the RSS 2.0 feed. You can leave a response, or trackback from your own site. It depends enormously on deadlines that face us. Filing, as I did, yarns for daily newspapers, your instructions are clear: “we want x words on such-and-such” (and if it was a Friday, you had to file early). In this case your life depends on copy takers (pre-internet) and sub-editors. Filing into, say, a back page sports story near “live”–ie filing at half time, then five minutes before full time, was a nightmare. Writing to generous, even open-ended deadlines, can have its own traps, of course. Pinker’s and others “draft after draft” process can sometimes be a fruitless journey to perfection which a sub-editor/copy editor can knock into shape in a fraction of the time and energy! All good points, Chips. Newspaper schedules are a whole other ball game. On the other extreme, as you say, there is the danger of endless fiddling: Frank O’Connor, for one, rewrote some of this stories as many as fifty times, to the ‘great annoyance’ of his editors and publishers. I normally need only tweaking, but of course I have to mull a piece in my head for a long time before I can spout it. Editors greatly appreciate such mulling! Often it gets outsourced to them instead. That’s true too, and they often are instructive, though I’m not familiar with the case you mention. Thank you – that’s timely, and I hadn’t seen it. Dickens, too, liked to ‘cast long paragraphs’ in his head, writing thus on long walks at night-time. Love it…all those questions are cropping up on draft #4, so perfect timing! I’m glad to hear it. Good luck with the revisions! Very timely for me. I was twitching at the final pre-publish of an anthology recently. One that I’d edited and finitum. We’re never finished. It’s true. And though we’re drawn to perfection we have to remind ourselves it’s a fantasy. 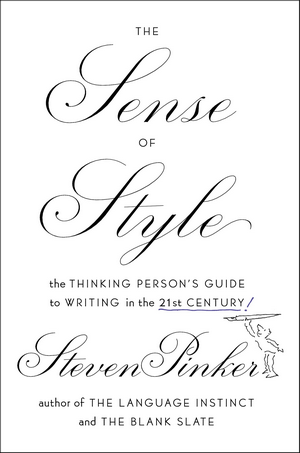 Perhaps the shift between polishing a paragraph in your head first and then writing it, in Darwin’s times, and writing and rewriting several times, as is more common today, has to do with the ease at which we can now rewrite, using word processors, try a new form, read it out loud and then change it, as opposed to them having to do everything with pen and paper, and then copy whole pages to ‘clean’ drafts. But then again – perhaps not. I think the difference is very personal. Some people can ‘see’ a paragraph better and clearer in their mind and are able to polish it more easily before it has been written down. Once it’s written – it’s harder to ‘show it to yourself’ and read it in a critical way and consider changes. It has more substance as an existing text and your mind, while reading it, is too busy deciphering it and wondering what it means to stop and ask yourself why it was put this way in the first place. All good points, Sarah. I think the change in the medium, from pen and paper to digital, has had a great effect on how we write, for the reasons you say and for others. We can easily afford to be looser with drafts, because there’s so little pain in deleting and revising compared with having to rewrite by hand, especially when materials were in short supply or their cost was a consideration. And there’s also a strong personal element to this, as you say. No doubt there remain many people who write mostly in their heads before putting a fairly polished draft down on paper or screen (though I am not one of them). I’m with Steven Pinker on this one. When writing a book review or article, I always leave it for at least 24 hours before coming back to review with fresh eyes. I am always amazed at the sentences that require re-working, or often the paragraphs that need shifting! A great article and really enjoyed the discussions above. What a literary lot of followers you have! I think we get very entrained in the writing we do, unable generally to rework it radically enough without first stepping back from it. The longer the break we can take, the better: often whole paragraphs can and should be moved around, as you say, or even removed altogether. I’ve lost count of how many times I’ve disregarded my original introduction to a piece of writing because only when it was finished did it become obvious what the introduction should be. The readers of this blog are a fine lot, civil and helpful and well read!